What’s The Best 50cc Dirt Bike For Kids | Mini Dirt Bikes For Kids. One of the things I learned very early into my boy’s fledgling motorcross ‘career’ was that with dirt bikes for kids, the best way to ease him in is the best 50cc dirt bike. Sure, you can go for bigger, more adventurous dirt bikes for little kids but in terms of safety, a 50cc dirt bike is a real deal. Of course, we all know that at the beginning, their skills aren’t up to scratch so it can be a bit daring on your side to let him/her go full throttle. Indeed, many manufacturers recommend a kids 50cc dirt bike as the surest entry point and the best ‘schooling’ dirt bike. So, How Are 50cc Dirk Bikes For Kids? 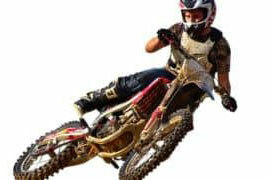 Most dirt bike 50cc models are designed to deliver quality rides for kids looking to get into motorcycles. Conveniently, a good number of the brands offering a 50cc dirt bike for sale make them rugged such that they require very little maintenance so your little rider can spend more time out riding than in the garage. The thrilling part is that a 50 dirt bike feels quite powerful and fun for this upcoming age group. And do you know why I like calling them schooling dirt bikes? First, they are easy to ride and are smooth sailing all the way. The other typical feature that makes them safe is the training wheels in some of them. Then, and again crucially, most have a simple start mechanism, so they are the easiest to start. For instance, some of those that feature among the best 50cc dirt bike for kids list come with a straightforward pull start. To cut the long story short, the best 50cc dirt bike is a win-win for the newest riders. How Fast Does A 50cc Dirt Bike Go? Most of the leading 50cc dirt bikes ride at between 25 to 40 mph which is fair enough for the young champions at this level. You see, it’s not too fast as to endanger his safety but it’s again not too sluggish to bore him to death. And as I hinted earlier, the construction- including the engine feels quite robust for these bikes as it picks up the speed. What Age Is A 50cc Dirt Bike For? Overall, youngsters as young as 3 years can be fine with the best 50cc dirt bike. This can go up all the way to kids as old as 8 years- unless your kid is the type that tends to grow tall overnight. Ensure it has training wheels during the earliest 3-5 years. You can, however, go for models without training wheels as he/she grows into dirt biking and builds on riding confidence. Some learn quickly so you may find yourself upgrading to a tougher bike just a few months into his/her first 50cc dirt bike. New kids dirt bikes may cost mostly anywhere from $300 upwards depending on their quality and features you’re looking for. The best youngster bikes on the current market will, however, cost between $1500 and $4000 and despite the steep price, they rarely disappoint young riders. I am referring to exquisite choices like Honda 50cc dirt bike with training wheels and the similarly costly Yamaha 50cc dirt bike with training wheels. There are, however, some more pocket-friendly options if you feel that the price is a bit high for a starting dirt bike. First, the less known brands are usually cheaper than the Yamahas and Hondas of this world yet some are very close to the big names in terms of performance. Another smart choice is the used dirt bikes for kids available from the second-hand market. These are generally cheaper than trendy new bikes and may cost even below $200 depending on your negotiation skills. Are Dirt Bikes For Kids Safe? Let’s face it: Dirt biking can obviously be a dangerous pastime not just for kids but adults. In this study, researchers concluded that dirk biking for kids isn’t a safe sport and warned parents and guardians against various potential dangers facing dirt biking children. That being said, a lot of manufacturers have come up with ingenious designs and features to help mitigate the risks of crashes and related riding risks. While the prominent example is training wheels, other features like tough brakes do help in case of abrupt incidents (always test the brakes ahead of each ride). Maneuverability optimized dirt bikes also take 180 turns more safely and are preferable for starters. Other ways you can help protect your little champ is by ensuring he/she rides on terrains and in conditions that are within their abilities or that don’t pose risks. Supervision, awesome training, and educating them on the importance of exercising caution can also help. Lastly, wearing safety gear such as helmets is absolutely not negotiable. Here Are The Leading 50cc Dirt Bikes. Bike with training wheels here are the most recommended for smaller ages from 3 to about 5 (depending on the skillset). These may, however, look way too small (and awkward) if used by 8+ year olds. A bike like Yamaha TTR50 dirt bikes have adjustable wheels allowing you to quickly adjust height from 0”-5” to increase ground clearance, as your upcoming rider progresses. Most have additionally a forthright on/off switch so starting them is very easy. Other realistic features include treaded tires, built-in music for children, and working headlights (common in most brands). For many kids, Suzuki mini bikes are true kings and it’s hard to dispute this. Their 49cc engines again produce a smooth, easy-to-control power band while you can always adjust the bike’s power level to match your young rider’s proper pace. Gold-standard Suzuki 50cc bikes such as the stout DR-Z50 are quick shifters and lightweight so riders find them easiest to maneuver. An automatic clutch, 3-speed transmission, electric auto-starting, and a lowly 22-inch seat height help kids build confidence and riding skills in a less-risky but race-like environment. It was my boy’s first bike and I will never tire of recommending it for families which need to involve their little champions in the sport. Yamaha has been there for as long as I can remember and continues to impress in the highly competitive dirt bike market. Their PW50 is especially rider-friendly for kids and one of the all-time favorite for minors and parents. Its myriad array of safety features includes a simple throttle limiter to allow you to limit the rider’s top speed depending on your rider’s skill level. On top of that, there’s no cumbersome gear shifting while its lively 50cc 2-stroke engine powers through its automatic gearbox to deliver a simple ‘twist-and-go’ ride. It maintains the same safety-first design, trusted quality, and dependable ride that Yamaha is known for. Honda is the other market leader with some compelling options for 50cc dirt bikes. I have always loved the monster-looking Honda CRF 230F, the off-road dirt bike that has often been the go-to choice for young riders looking at building up their riding confidence soonest. The CRF50F offers an amazing combination of children-supporting features. First, its unyielding, four-stroke engine slowly develops smooth, easy-to-control power. Then, its 3-speed transmission includes an automatic clutch, so baby riders learn to shift without worrying about stalling. Furthermore, the muscular suspension beautifully stands up to youth rider’s sometimes risky youthful enthusiasm. It offers so much that I may have to write a whole article dedicated to it! KTM is a giant in the motorcycle space and so are its dirt bikes. The KTM 50 SX is, for example, regarded as one of the best ever 50 cc dirt bikes. It’s about 1.30m tall, light, and thus one of the best bikes for kids 4 years and above. Amazingly, this bike impresses even with 10-year-olds so you won’t be going back to the shop anytime soon. 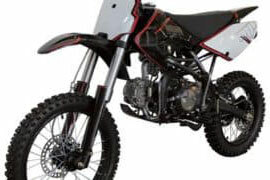 The engine (has an automatic clutch) is steady and delivers controllable power making it great for novices searching for a reliable first-time dirt bike. Kawasaki tends to make bikes for both youngsters and adults. Their young rider’s dirt bikes feature easy push button electric starts, flowing power, and chassis that tackle trails with confidence. Performance remains consistent and balanced despite a couple of differences between some of the models such as in frame design and colors. Advantageously, the key features such as suspension, front/rear disc brakes (for progressive stopping power), low seat height, and fully automatic transmission run across the various models. You can look at the KDX50 to see the popular Kawasaki’s construction. Flying Horse dirt bikes are also athletic, exciting, and comfortable to ride through dirt. They’re also built to be resilient and to be friendly to youngsters venturing into the sport. They have some reputable performers and super easy to handle bikes such as this 50cc dirt bike. The features that propelled this specific model to our exclusive selection are the super disk brakes, heavy-duty rear shock, and the upgraded forks, all of which provide an enhanced riding experience. Plus, it’s much affordable by far. 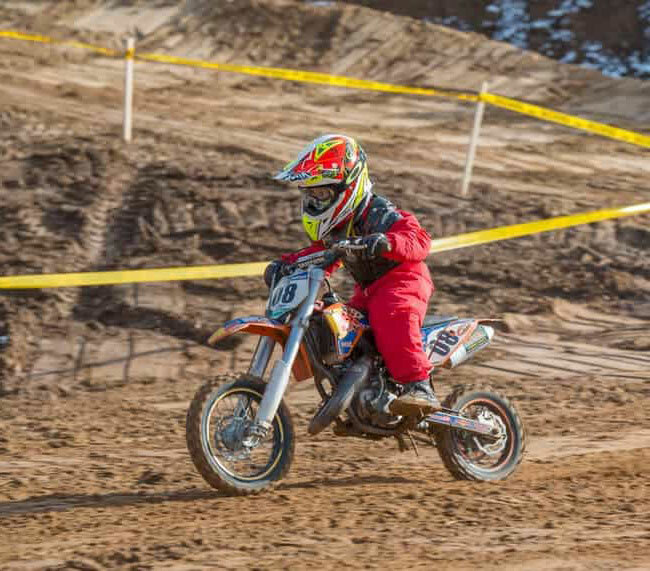 Kids Gas Dirt Bikes: Gas or Electric? Despite poor fuel efficiency and environment-harming smoke, gas bikes are still ahead of their electric peers in torque. On the other hand, the simplicity of electric dirt bikes has made them a very attractive proposition for kids. Parents also love their other winners like zero emissions, reduced maintenance requirements, and lower running costs. By and large, gas vs electric is pretty much a personal decision. Maintenance Tips For a 50cc Dirt Bike. Part of ensuring safe rides with dirt bikes for kids is to ensure that the bike is always in a tip-top condition. Some of the maintenance procedures may need a professional but most are basic and easy to execute even for a complete fresher. Fresh oil keeps the engine lubricated. Change the bike oil as per the instructions in the bike’s manual which can be as often as after every 5-10 hours. Remove and clean the air filter periodically to boost performance. Again the user manual should guide you. Before storing it for winter, replace its starter battery with a trickle charger. If not, prepare to spend on a new battery next riding season. Maintain the right air pressure at all times during rides. This could vary based on the prevailing terrain conditions. In general, the front tires will have a higher psi than rear tires. Refer to the accompanying manual for specifics. Always inspect and tighten all bolts especially because they usually loosen when navigating tough conditions. Leaks can be a sign of a major problem so keep an eye on any signs of fluid droplets on the ground. Grease up all essential components to streamline movement and prevent corrosion. And you won’t forget to remove mud after every outing. Will you? What is the Right Seat Height Size? The correct dirt bike height size determines how easy to handle it will be. The rule is that he/she should be able to step on the ground with both feet. Then check that he/she can support self fully in a comfortable posture. It’s also important that he/she can raise his/her 50cc bike back up after dropping it and that they can maneuver as required. Still there, the controls and handlebars should be accessible to the kid. Luckily, for kids 3-7 years, the seat height is oftentimes set at an angle that they can easily grow into as they progress through the years. Things, however, change beyond 7 years when now the bigger 70cc bikes come to the fore as some kids will quickly outgrow their peers. Gifting your kid the best 50cc dirt bike could be your most important step towards giving his/her wild side an opportunity to roam. These bikes come with engines that soar through the dirt with ease while ensuring maximum comfort while racing towards the unknown. Yes, some of these off bikes may appear tiny, but do not be fooled by the size. They’re the best bets for starters with big ambitions to slay dirt in style.